To be like a child before God means to acknowledge one is own nothing and to await all from God. A little child in his helplessness loves and trusts without limit, depending totally on its mother and father. God makes us weak since it leads us to reach out to the Lord and attracts God’s omnipotence and, above all, His great mercy. To recognise, accept and love your weakness does not mean to accept or justify sin. It helps us to remain honest and true about ourselves, which is essenntial. For it is only when we become aware of our wretchedness, will we begin to call on God's power and mercy. First, the helplessness of a child obliges God to manifest His love. The acknowledgement of my own nothingness without faith in God’s love leads to sadness, discouragement and even despair. A child finds hope in God’s love and unfathomable mercy. God bestows on us countless gifts, but the sin of pride means that we fail to perceive this. That is why there is so little gratitude in people towards God. A child knows that his God is the Father and he confidently abandons himself into the arms of his heavenly Father. The child knows and relies upon his father to do what is best for him. Secondly, a childlike trust in God means not to accumulate unnecessary reserves. A child is totally dependent on God, it relies on his providence. This does not mean that we should not acquire the necessary means to live, or justify laziness or the lack of prudence by saying: “God is my Father, He will take care of me.” We have to do our best. We have received everything as a gift from God, even when we cooperate with Him to some extent. Thirdly, to be like a child is not to attribute one’s virtues to oneself because it is God who put them in our hands. To those who notice his virtues he says with simplicity: it is not me but God who accomplishes everything. A child knows that all this strength comes from God because Jesus said “For cut off from me, you can do nothing” (John 15:5). I assure you of the constant prayer of the priests of the Congregation of St Michael the Archangel for all the readers and their families. 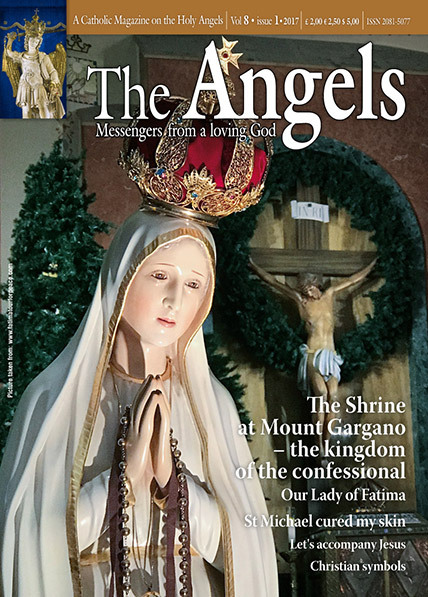 Please view our new website www.stmichaelthearchangel.info and let others know about this magazine and help us to distribute them all over the world.